Designs from Valdrome are some of our favorite examples of classic Provence fabric. Now produced by STOF, the Galon design is a classic. 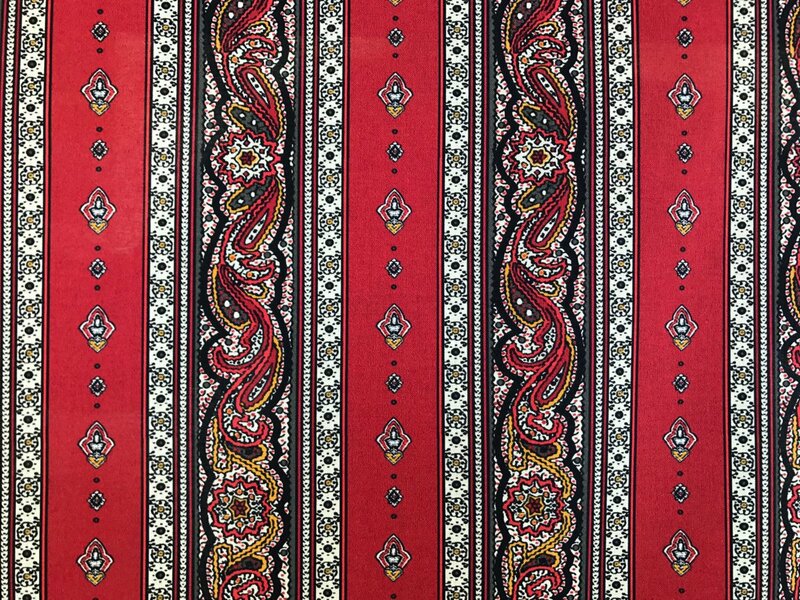 There are 14 approximately 2.75-inch borders across the fabric, separated by a foulard print. This soft cotton print is perfect for home decorating projects, sewing, or quilting. The 100% cotton fabric is approximately 62" wide. Coordinates with Croquet Red (PR660).